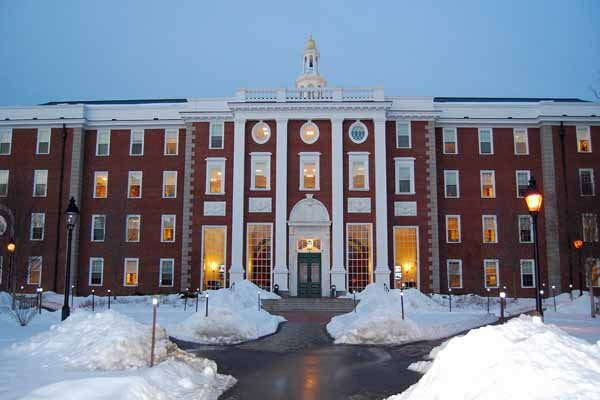 Harvard professors aren't happy with the law they once championed. Hypocrisy has never been a stranger in the ivory towers of academia, but the latest development among the faculty at Harvard is a particularly delicious bit of irony. It seems that professors, like everyone, don’t much appreciate having to pay higher prices for health insurance. As a result of the Affordable Care Act’s mandates, however, prices are set to rise significantly within the halls of academia. The New York Times reports that faculty members at Harvard are furiously opposing changes to their health insurance program that mirror those faced by the rest of the country. While this opposition would be perfectly understandable in most cases, the fact that Harvard was one of the institutions that most vocally supported the passage of ObamaCare in the first place should mitigate our sympathies just a wee mite. To the stereotypical Harvard professor (and let it be remembered that Barack Obama himself once emerged from the hallowed halls of Harvard Law) what’s good for the goose is not necessarily so good for the professor. There’s a sense of hubris that holds that the minds of the enlightened, while perfectly capable of devising regulatory schemes fit for “the common man”, should themselves be immune from such restrictions. They, after all, are smart enough to covered their own lives, unlike the unwashed masses whom they seek to govern. We see the attitude reflected in Congress as well, when representatives balked at the prospect of having to abide by the rules of the Affordable Care Act that they had unsympathetically just rammed down the throats of the American people. There’s a pervasive belief among lawmakers that those who craft the laws need not abide by them, as when Nancy Pelosi was caught engaging in insider trading back in 2011. The consequences to the former Speaker were, to put it mildly, minimal. The point of all this is that the nature of government, and progressive government in particular, is the ruling of the majority by the minority, with the minority carving out as many special bonuses and exemptions for itself as possible. For this reason, the majority has to remain eternally vigilant to uphold equal treatment under the law. America rose to greatness as a classless society. We have to stop letting politicians and academics divide us, and instead stand together to ensure that we are all treated fairly, from Speaker of the House, to the Harvard faculty, to waitresses and garbage men, and even (especially) the president himself. And with respect to ObamaCare, it’s time we scrapped it and replaced it with a health care system that puts patients first, and offers maximum choice for consumers.